Increasingly community colleges are looking for ways to provide their students with relevant and impactful experiential opportunities that can promote continued education and provide a window to career opportunities. Peacebuilding includes a range of strategies that can be applied through coursework. At Montgomery College in Maryland in the spring 2013 the course Politics in Action was offered by Professors Alonzo Smith and Layla Hashemi. The overall theme of the course was global human rights. A service learning component required that students volunteer at a human rights related agency or organization during the semester. The course was offered at Montgomery College’s Rockville campus. As such, the faculty teaching the course approached the Rockville Human Rights Commission about placing students with that agency. The commission is an 11 person volunteer board appointed by the mayor and city council of Rockville. The overall mandate of the commission is to promote human rights through a range of means including public events (such as an annual Martin Luther King, Jr. Day celebration), education (such as a multimedia/essay contest for high school students), outreach (including voter registration), conducting surveys, the advocacy of public policy issues, and the investigation of citizen complaints. Rockville, Maryland is a city of 62,000 residents located in the northwest suburbs of Washington, DC. With large Asian, African American, and Latino populations, Rockville is a microcosm of global society. The commission saw this as an opportunity to advance its outreach and education objectives, particularly in promoting anti-bullying efforts at a local high school. Two students from the course were placed with the commission. They were assigned duties that provided them with an overview of local government, an understanding of the role of citizen commissions, and how human rights issues are present in a local context. The students attended meetings of the commission, provided input on anti-bullying efforts, assisted in the running of a youth diversity leadership workshop for high school students, and met with local officials and groups. 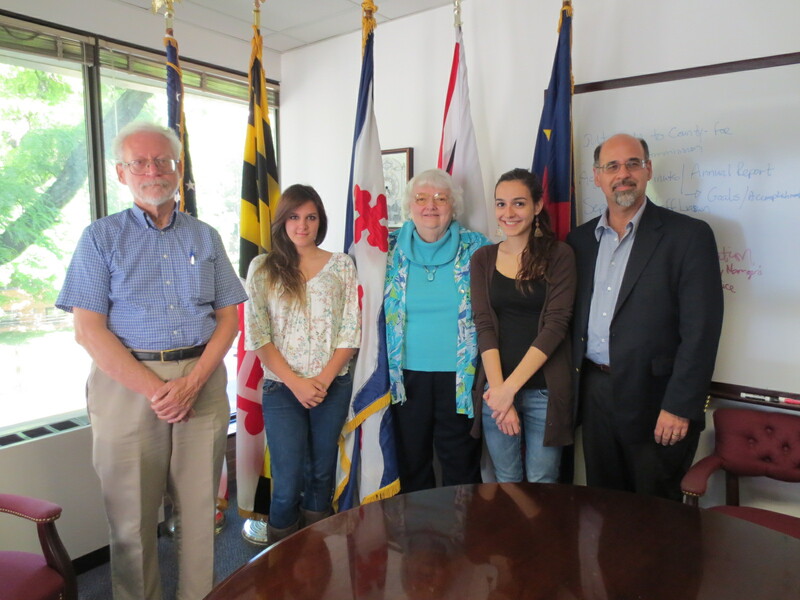 The students also met with the city’s mayor and wrote a final paper about their experiences. As a result of this experience, Montgomery College and the Rockville Human Rights Commission will continue to work together on a range of topics and issues of mutual interest. If you are interested in the course Politics in Action contact Prof. Alonzo Smith at alonzo.smith@montgomerycollege.edu. If you are interested in the work of the Rockville Human Rights Commission contact David J. Smith at davidjsmith@fulbrightmail.org.